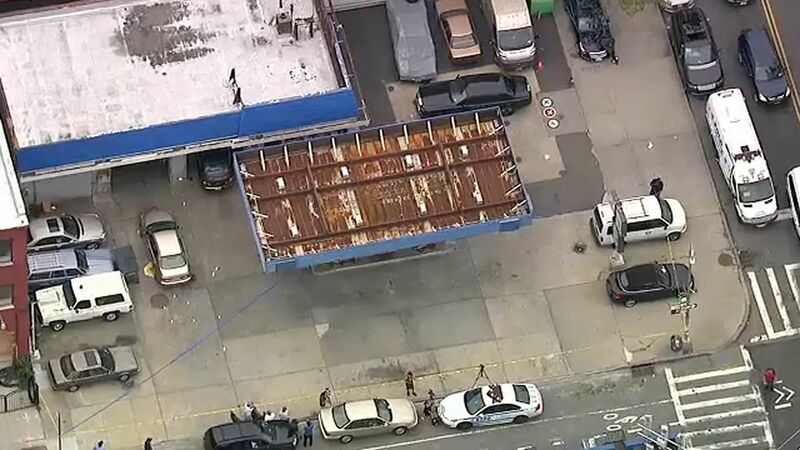 BEDFORD-STUYVESANT, Brooklyn (WABC) -- An armed robbery at a gas station in Brooklyn quickly erupted into a shootout on Monday afternoon. Police say two suspects entered a Sunoco gas station in Bedford-Stuyvesant at around 1:30 p.m. and shot a 70-year-old man after holding him at gunpoint. The victim, a retired corrections officer, was armed and returned fire. It's not clear if either of the suspects was hit. The victim was taken to Kings County Hospital and is expected to survive.